The University of Newcastle continually invests in cutting-edge infrastructure and new technologies to support world-class education and research. By doing business with our University, you form part of our global community, delivering quality infrastructure and services. 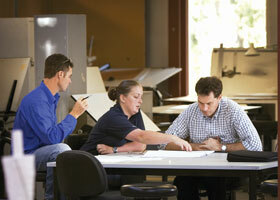 We work with quality business partners and suppliers to develop our campus and community infrastructure. Our strategic and sustainable approach to the management of the University's assets is demonstrated through our tender process and employment of contractors. The University of Newcastle wishes to advise our existing and potential future suppliers of current fraudulent activity involving an imposter contacting companies impersonating actual University staff members. This scam is targeting the University of Newcastle and other institutions within the sector. A supplier receives a request for quote via email. Upon receipt of a quote the scammer advises that the offer has been forwarded for review and approval. A fraudulent purchase order (PO) is subsequently issued. Employee names used in correspondence are those of actual University staff members. The scam operates through the ordering of goods which when delivered, are then transferred elsewhere and the supplier does not receive payment for the goods. The scam typically requests pricing, via email, for a large quantity of attractive items, such as computer hardware. The email is poorly written with grammatical/spelling errors and a disjointed sentence structure. Incorrect email address domains ending in @newcastle-edu-au.org are typically used. The University of Newcastle’s email address always ends in @newcastle.edu.au. The phone number in the correspondence does not begin with the University’s Procurement or Accounts Payable team phone number prefix +61 2 4921. The fraudulent PO requests immediate delivery. The fraudulent PO does not contain a valid PO number. All University of Newcastle PO numbers are formatted nnnPnnnn (where ‘n’ is represented by numeric digits e.g. 123P4567). The PO delivery address is not a University of Newcastle delivery address. Please be advised that the University of Newcastle is taking this matter very seriously and does not wish for any of our current or potential suppliers to be adversely impacted. If you suspect fraud in any way please contact your local law enforcement agency. If you suspect that you have received a fraudulent email/PO purportedly from the University of Newcastle, or would like to confirm the authenticity of a legitimate request, please contact the University’s procurement team at StrategicProcurement@newcastle.edu.au. We are contacting all of our current suppliers advising them of this current scam. We are reporting all instances of known fraud to the Police. We are reporting all instances of known fraud to the ACCC and to ACORN (Australian Cybercrime Online Reporting Network).